Click on any of the photos below for a full-size image and description. 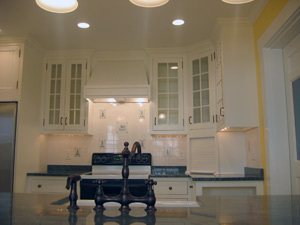 Custom period kitchen with hand-made cabinets. All cabinets, doors, and drawers hand-made and installed. Top-quality hardware, self-closing drawer slides.